Sad to see Ultimate Alliance become a Switch exclusive since there was so much potential for it as a cross-platform multiplayer game. But that's on Marvel. Nintendo is going to do a great job putting together cartoony Marvel action and gameplay. The rest of us Xbox/Playstation/PC players will be left in the dust wishing Marvel Heroes Online was still a thing while waiting for some yet unannounced Marvel game to fill the void. Hopefully we get some sort of cooperative multiplayer experience on Xbox/Playstation/PC but who knows if/when that will happen. Square Enix hasn't said a word since their teaser video and that either means they're in some 5-10 year development cycle making a beast of an FF styled game (which could even mean next console generation) or they're struggling with balancing all of the possibilities and we end up with a clone of Dissidia released quickly. Either way I have my fingers crossed that they can pull off something amazing. The only multiplayer Marvel games are on mobile and they're either ridiculous price gouges or loot box based. Fun to dabble and kill some time but definitely not what fans are expecting from Marvel games. Spider-man on PS4 set the bar pretty damn high so hopefully this next slew of Marvel games follows suit. Great series! 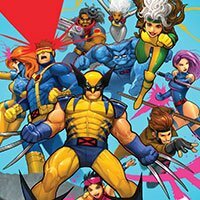 Definitely looking forward to Beast, Jubilee, and Gambit the most but this whole set looks solid. I do have to echo everyone on this thread complaining about Hasbro's Logan head sculpts. 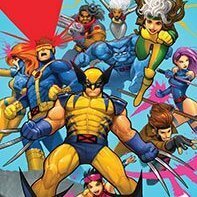 Considering how well the rest of their X-men line is looking it's disappointing that they've only given us the weird flat-faced low-brow cartoony Logan face and now this awkward attempt at a Barry Windsor-Smith styled Weapon X head. It's like they're trolling us because they know Wolverine figures sell. Hopefully, when they do get it right, they keep it on the same peg setup as the rest of these figures for easy swapping. Great job! The face/earrings/hair sculpts are amazing. Definitely one of the best Storm figures I've seen. Awesome figure. I love the head sculpts (both masked and unmasked) but this is a tough one for that price without a few more accessories. The arms aren't very bulky and those claws look a little too long for him, too. You could pick up a great custom unmasked Logan head for the Marvel Legends Tiger Stripe figure for half the price and not be missing much. Especially if you already have a classic/juggernaut wave masked head without the grimace to go with it. But having this standing next to their comic book Spider-man would be pretty amazing.